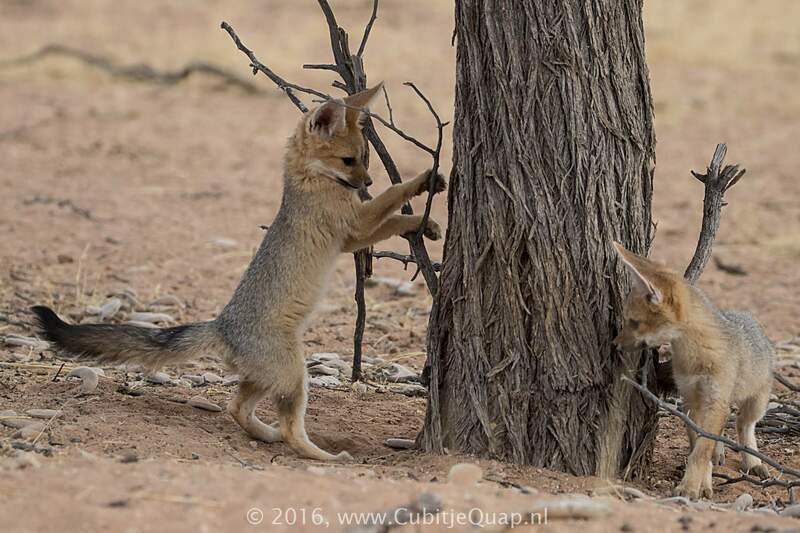 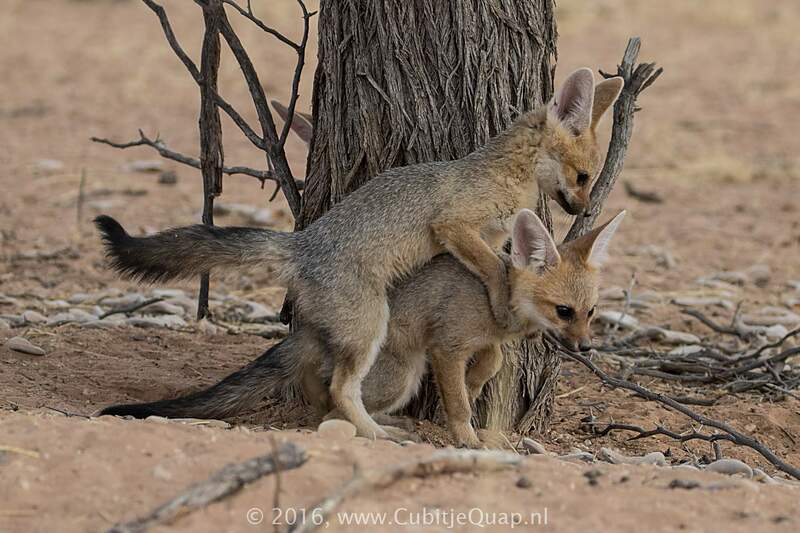 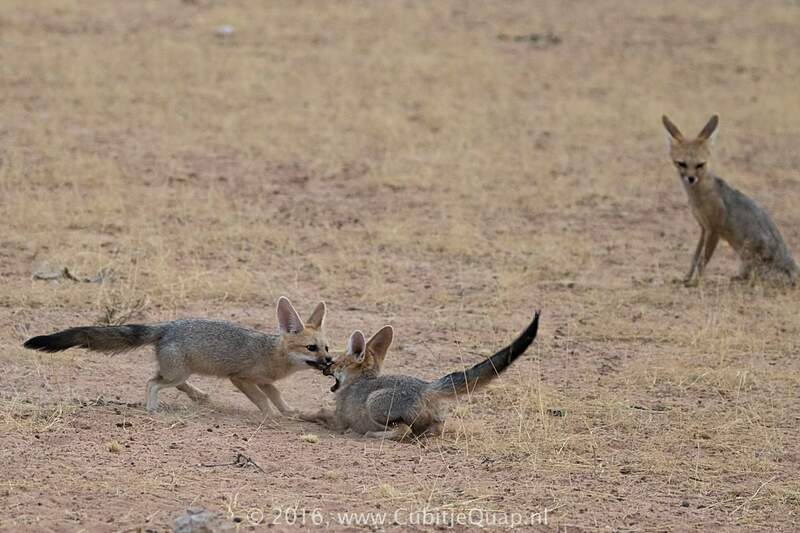 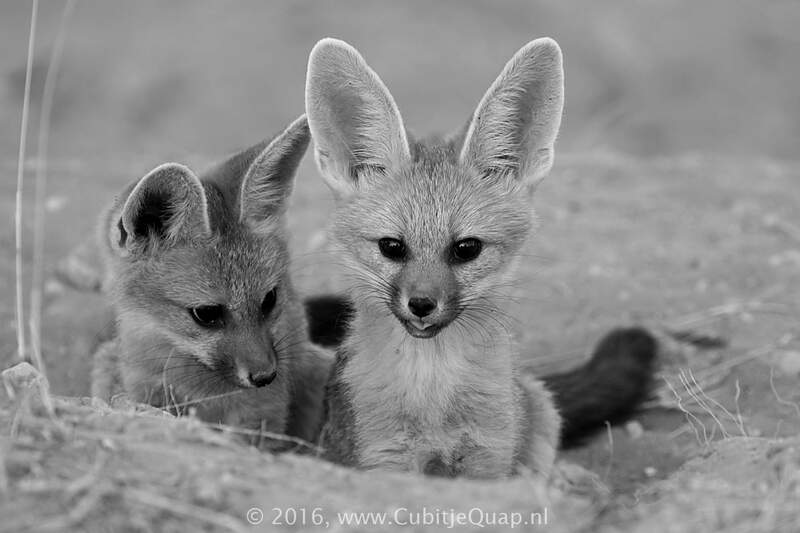 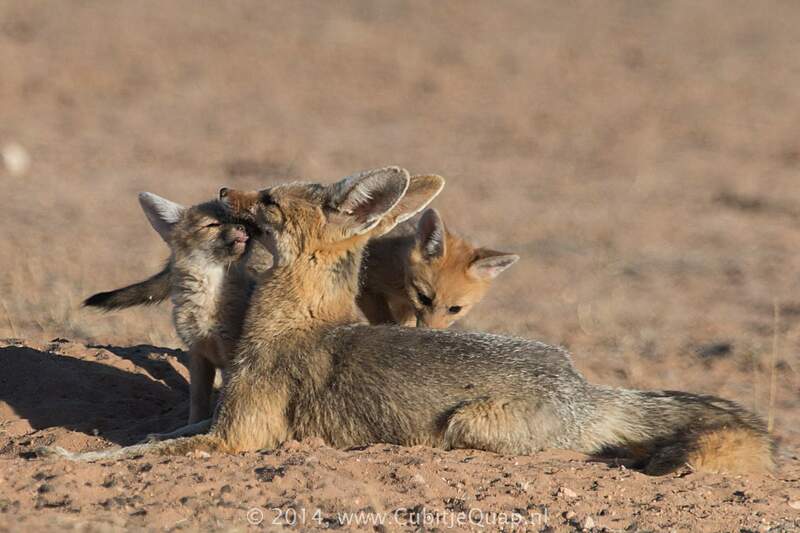 Cape foxes will mate for life. 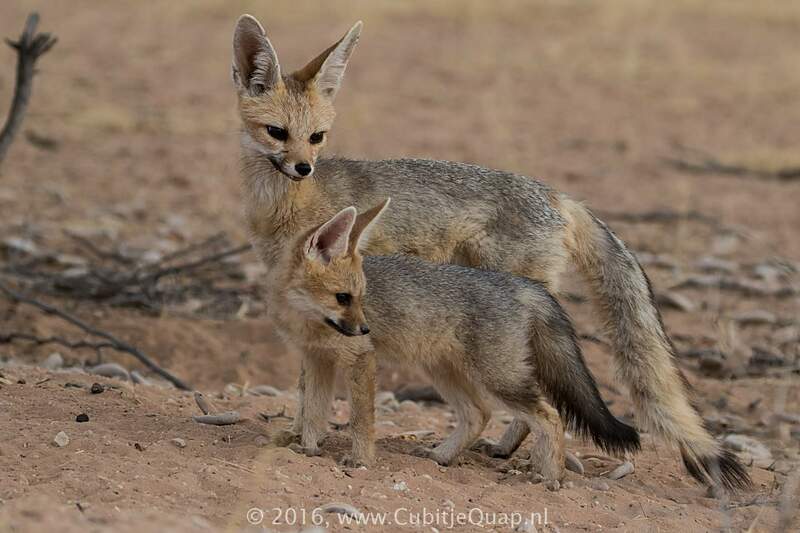 They are capable of breeding all year long, although they typically have offspring in the months from October to January. 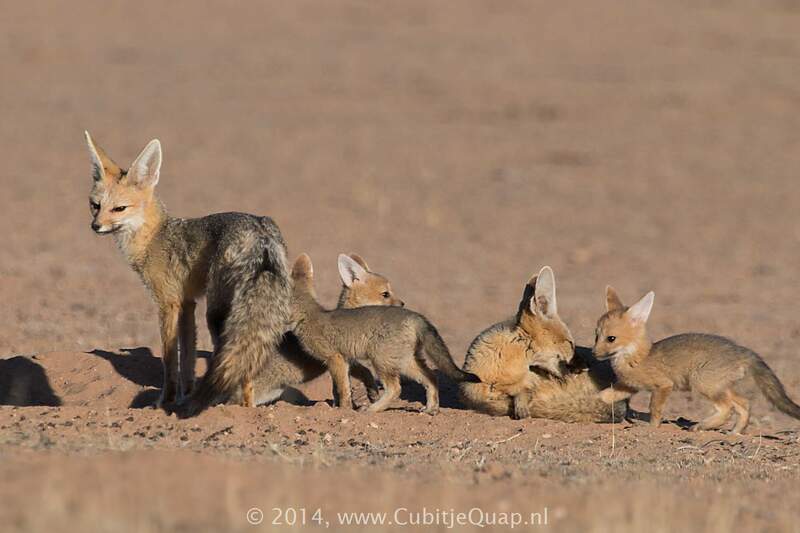 Litters vary from one to six cubs. 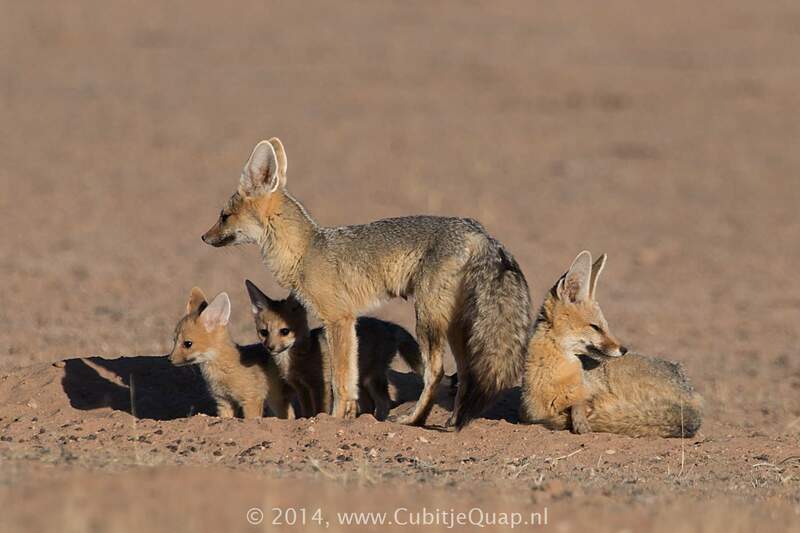 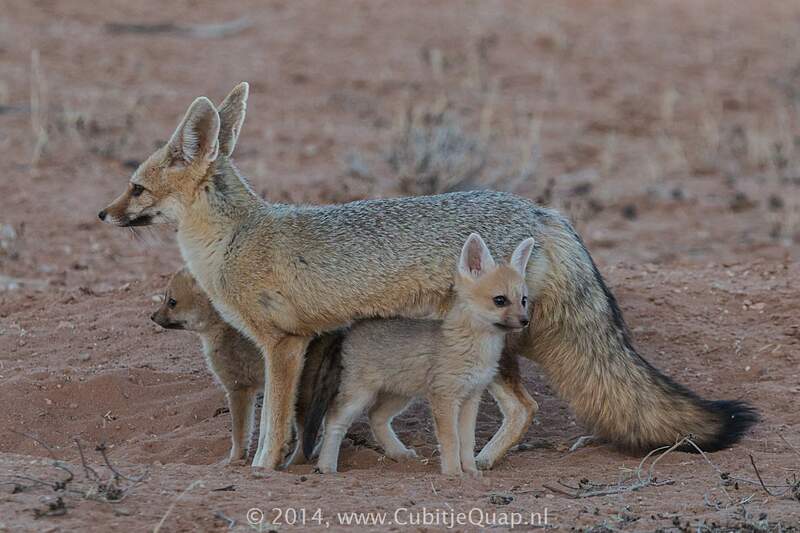 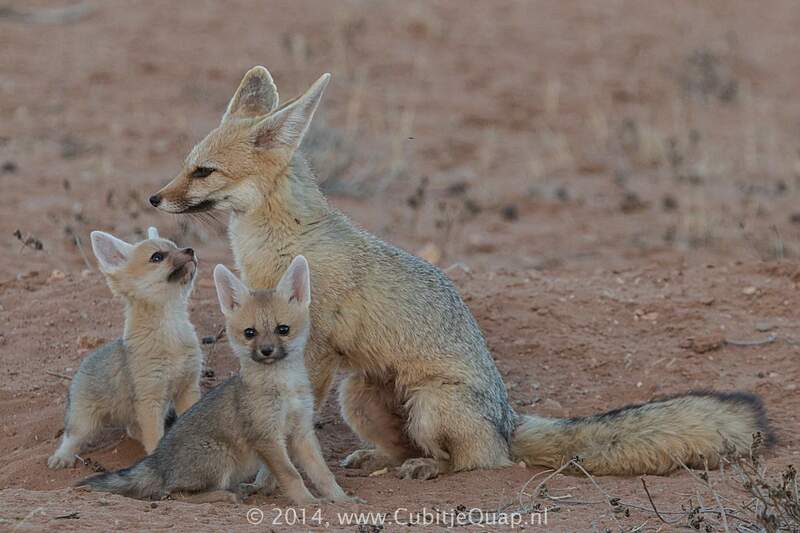 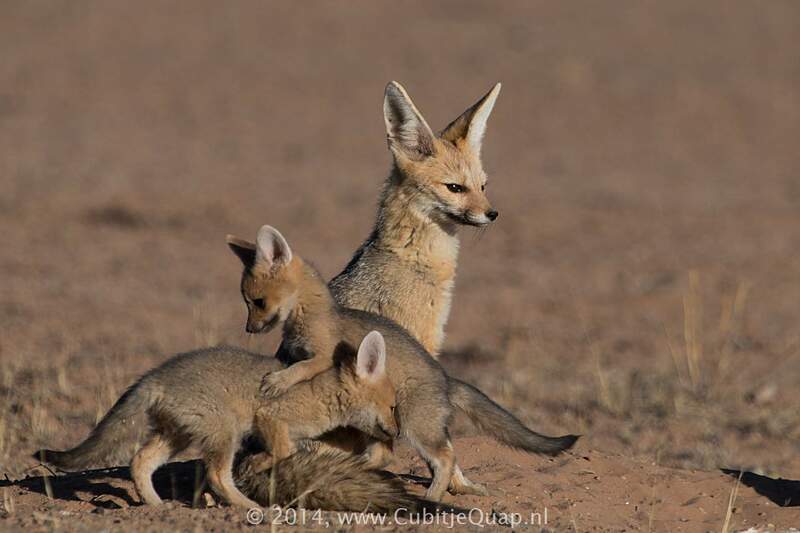 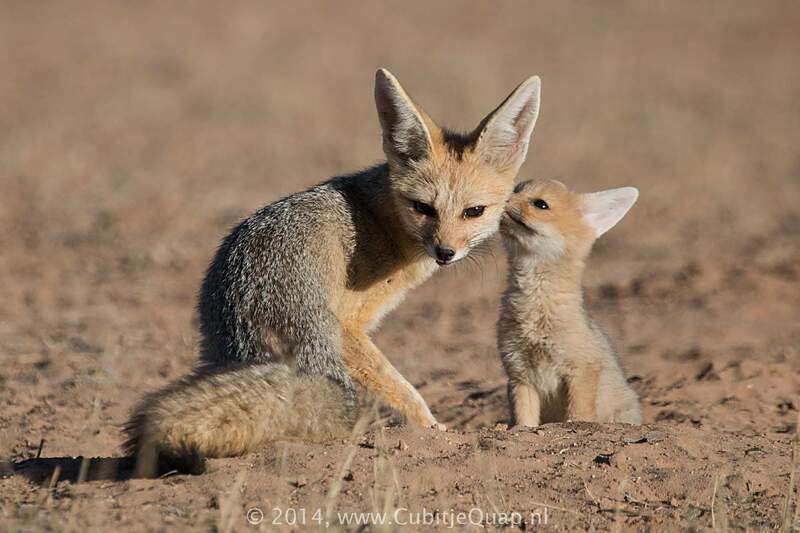 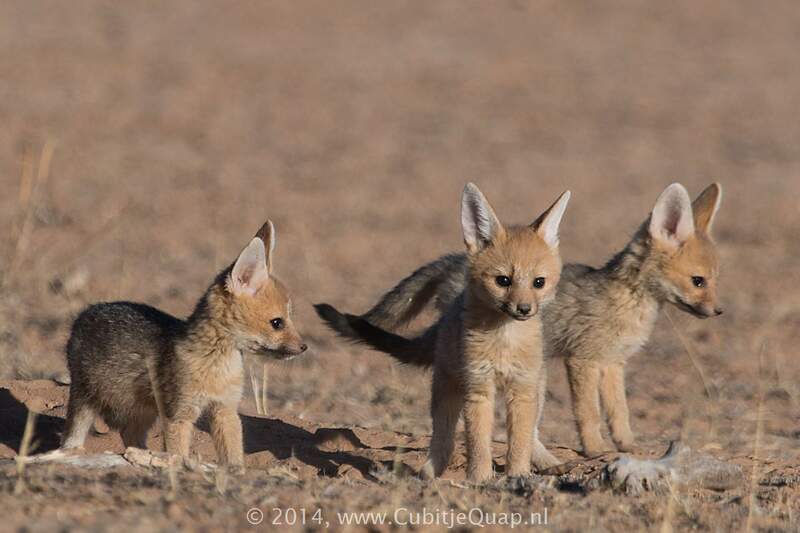 The cubs are usually reared in underground burrows, they stay close to the den until they are about four months old. 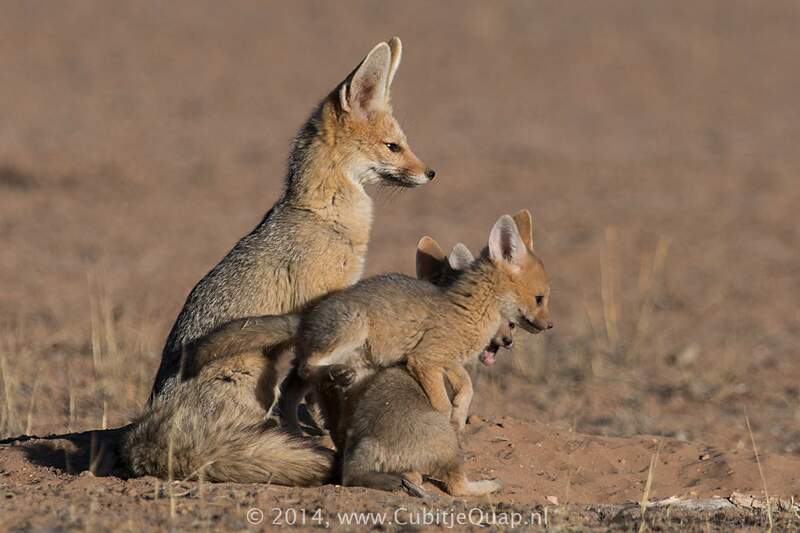 Both parents will care for the young, with the male also providing for the female during the first two weeks. 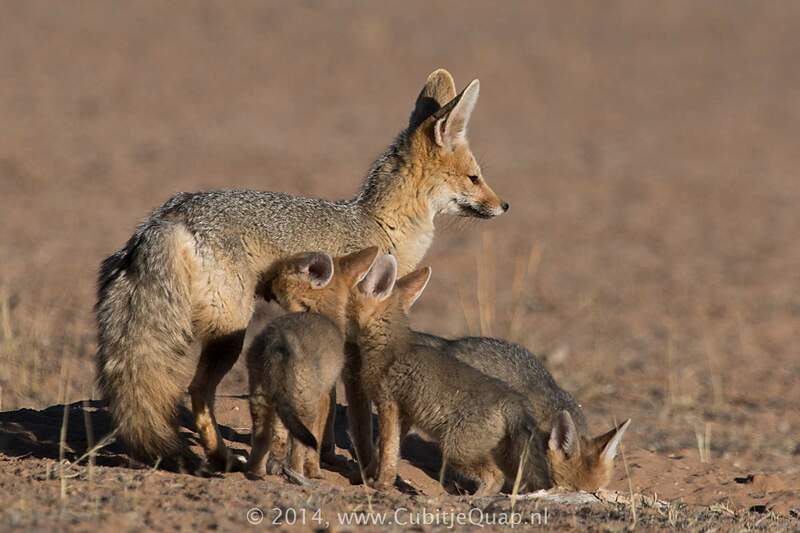 A family group usually consists of the parents and their offspring, but different family groups sometimes mix during feeding. 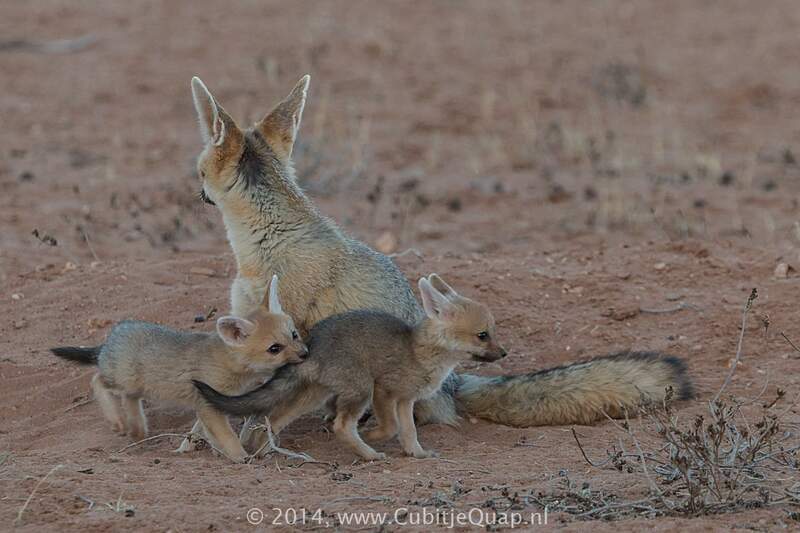 Cubs usually start foraging and become independent at an age of five months.